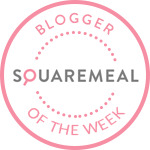 Emily's Recipes and Reviews | UK Food Blog | Leicestershire : gnocchi carbonara. Equipment; Two frying pans, one large saucepan. Recipe based on the leftover potato gnocchi recipe. Step one. Mix together the potato with egg yolk. Slowly add the flour until it forms a dough. Make into a ball on a floured surface. Step two. Roll out long, thin sausages of gnocchi dough. Then cut into small rectangle shapes. Step three. Make fork marks in the gnocchi and set aside. Step four. Chop up the bacon and crisp up in a frying pan. When nearly crisp, add the garlic and allow to cook on a very low heat for 1-2 minutes. Don't let the garlic burn or it will taste quite bitter. Set bacon aside but keep the pan there ready. Step five. Boil a pan of salted water and cook the gnocchi for 3-4 minutes. The gnocchi is ready when it comes to the surface. Drain. Step five. Whisk together the double cream, two eggs and cheese in a jug to create the carbonara sauce. Step six. Side by side, crisp up the gnocchi in the original frying pan. In another frying pan, cook together the carbonara sauce, bacon and frozen peas on a low heat until the peas are cooked. Be careful not to scramble the egg. Step seven. Toss together the crispy gnocchi and carbonara sauce, peas and bacon. Serve with Pecorino cheese and cracked black pepper. Have you ever made homemade gnocchi? What is your favourite recipe for leftovers? I'm adding this recipe to this month's Credit Crunch Munch link up hosted by Jen's Food and created by Fuss Free Flavours and Fab Food 4 All. 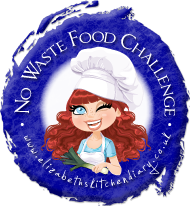 I'm also adding this to the No Waste Food Challenge over at Elizabeth's Kitchen Diary. Note: I was sent Co-op vouchers to buy ingredients for this post. Wow I know what I'm making very, very soon! I love home made gnocchi - I often just eat it with some simple pesto. I love the sound of your recipe though, and would happily tuck into a great big bowl of it! Home made gnocchi is such a satisfying thing to make, I think. It's been ages since I've made my own - I really ought to do it more often! Thank you for sharing your lovely recipe with the No Waste Food Challenge!